So many little things happening today and this week. Much of it locally driven, but some of it really interesting. I am waiting to see if they launch the Minotaur rocket from NASA. The new time of launch is 2015 EST. We saw the last one from the back deck. Skies look clear enough to see this one, too. 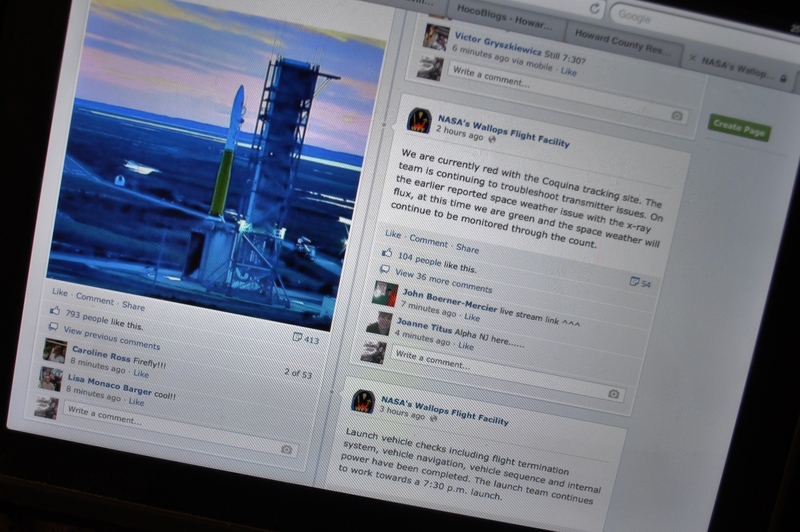 I am checking with the NASA Facebook page for Wallops to get updates. Today is my better half’s 63rd birthday. When he gets home from his regular radio club dinner meeting, we will share the dark chocolate sea salt bar with the rest of the lovely red I got with my dinner at Bistro Blanc. It is half price wine night there. I went up there for a few reasons. A quick perfectly cooked medium rare lamb burger, and a delivery to Chef Marc of a dozen long stems of my rosemary, and a huge bouquet of three kinds of sage. Cleaning up the herb garden. While there, I sampled something new. Two words I never thought would go together. Chocolate. Grappa. Hey, don’t knock it! It isn’t bad. Since my husband went off with his fellow radio friends, I postponed his birthday dinner until tomorrow night. 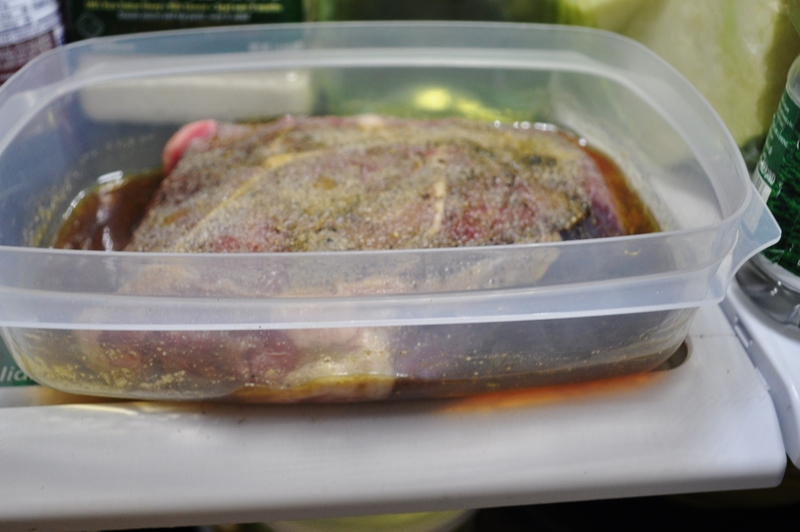 Currently, I am marinating a strip steak from Clark’s farm. It will be pan seared and finished in the oven tomorrow, to be served with roasted romanescu. 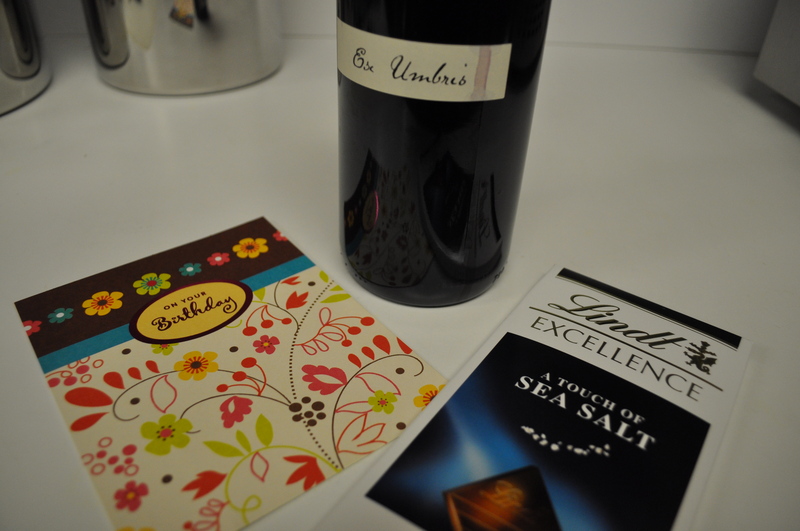 And, I think I will open a really nice Virginia wine. 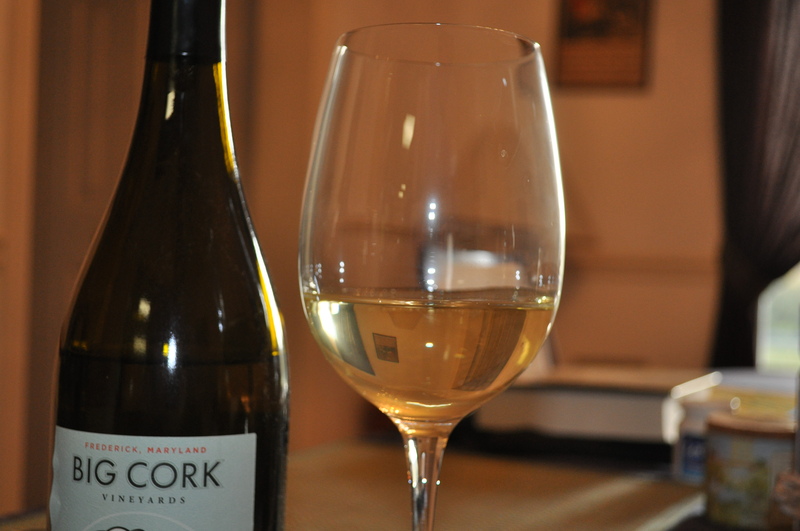 Speaking of wine, Big Cork announced on their Facebook page that their production facility will be open for tasting this Friday and Saturday. We hope to get there to see what they are offering. Their facility is in Frederick, just off I-70. Tasting time is 12-6. Last but not least I have been working on scheduling the farmers who will be offering goodies at the Conservancy Natural Holiday Crafts fair on Dec. 7th. We hope to make your holidays special with goodies from local farms, as well as all those local crafters who will be there. More on the fair later. Obviously, I am keeping out of trouble, and having a great time with all our activities and interests. Somewhere in here, I should do some fall cleaning. Really. Posted in Community, Farms, Food, Hobbies, Howard County, Local Businesses, Real Food, Restaurants, Volunteering, Weather, Wine and tagged community, cooking, farms, Food, foodie, hobbies, Howard County, howard county conservancy, local businesses, MD Wine, real food, volunteering, weather, wine. Bookmark the permalink. Did you see MTV is doing a show on MD farmers. Yes, and I forgot to watch it tonight. I need to record them to watch when I can.